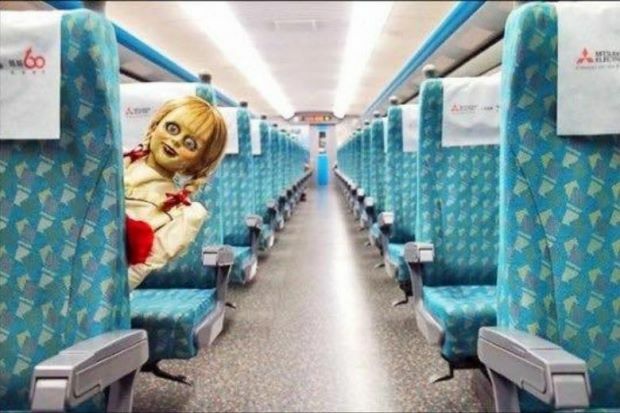 The Annabelle doll has been spooking commuters across Asia with mixed results. Malaysian operator RapidKL were the latest to spot the malevolent marionette. Last month Malaysian train operator RapidKL was busy channeling the malevolent spirit of horror movie doll Annabelle. Why? It was a fun way to keep impolite passengers in-check. Followers of the RapidKL Facebook page reacted in the thousands and the post was shared over 10,000 times. It would seem that train commuters love their journeys to be haunted by creepy dolls possessed by evil spirits. Some customers loved the stunt so much they called for a salary hike for the Facebook page admin. High praise indeed. Fist pumps ahoy and much deserved hearty back-slapping. But there is more. Ok, so there’s a few of you who are probably wondering who on earth is Annabelle. If you’re not a fan of the horror movie genre then we can’t blame your ignorance. Annabelle comes from the same horror universe as the smash hit horror flick ‘The Conjuring’. Released in 2013 ‘The Conjuring’ is one of the most profitable horror movies of all time with earnings of $318m on a paltry budget of $20m. 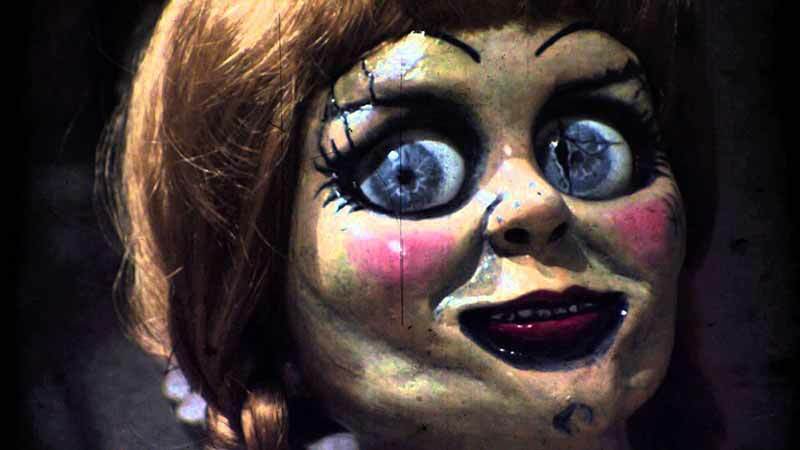 The stand alone ‘Annabelle’ film was released in 2014 and was also a huge commercial success. Not bad going and guess what, a new Annabelle film has just been released called Annabelle: Creation. Hence the shenanigans in Malaysian rolling stock and train stations. So you think the story would end there. Nope, we don’t drag up month old news for no apparent reason, well not unless we’re desperate. It would appear that ‘Annabelle’ likes to get around and she’s more recently been spotted in Taiwan. Specifically aboard Taiwan High Speed Rail. The difference this time is that no one at Warner Bros. thought to ask the permission of Taiwan High Speed Rail Corporation (THSRC). THSRC spokesman Chung Jui-fang grumped that Warner Bros. had violated company regulations with their ill conceived promotional campaign. The result, the photo’s were pulled from the Warner Bros. Facebook page and a shadowy third party agency blamed for the mix-up. It’s all in the execution. Which sounds like something Annabelle might say, if she could talk.